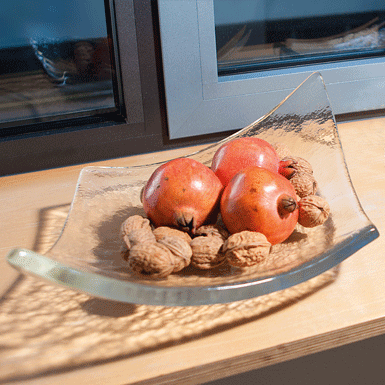 The Rombo bowl convinces with its simplicity, but simultaneously offers various options for arrangement and use. Whether as a single piece or with other Rombos combined - with or without content - the Rombo does not fail to catch the eye. Hand-pressed and lowered into mould.